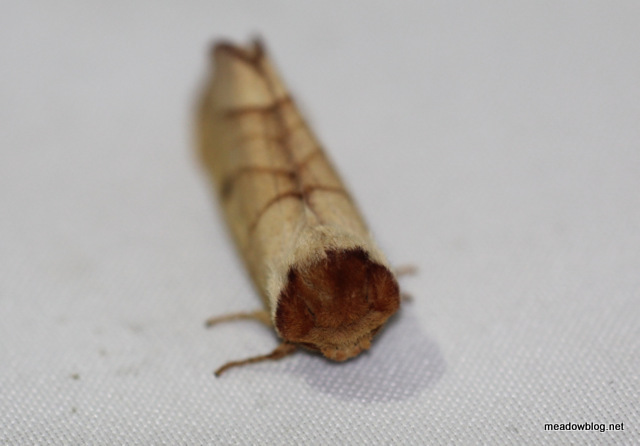 Meadowlands Moth Night: Moths, Moths, Moths! This moth may have been the most popular of Moth Night — a Spotted Datana (Latin: cigarettus buttus). Many more pix follow — feel free to help us with the IDs. Susan Elbin, Director of Conservation and Science for NYC Audubon. 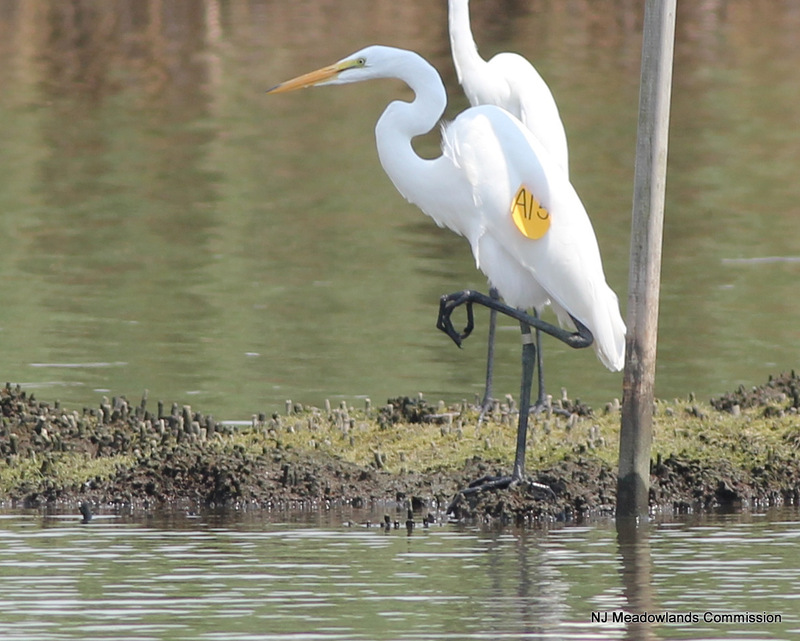 says that the tagged Great Egret seen yesterday in DeKorte Park's Shorebird Pool "was banded on 11 June 2012 (this year) at Elder's Point Marsh East, Jamaica Bay." Earlier this summer, the Meadowlands lost a true friend and advocate. John R. Quinn — naturalist, author, artist — died in New England after a long illness. The former Ridgefield Park resident was 73 years old. I met him a couple of times about a decade ago, when I worked for a newspaper and he worked for the Meadowlands Commission, and I exchanged emails with him several times last fall when I was working on a book project about this region’s amazing environmental comeback. In every instance, I was impressed by his abiding love for the region where he grew up. As a youngster, he had seen the region at its worst — from the rampant toxic dumping to the headlong filling of marshes. As an adult, he helped chronicle its recovery. 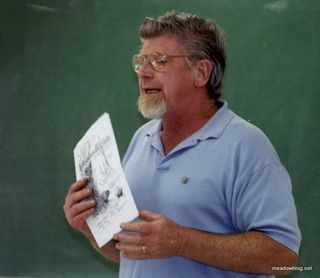 In his memorable 1997 book "Fields of Sun and Grass, an Artist's Journal of the New Jersey Meadowlands," the unassuming Quinn wrote that if the lessons learned here “are applied wherever and whenever they are desperately needed, we will, just perhaps, bequeath a livable planet to those whose lives are yet to be lived." Soon after, Quinn began working for the Meadowlands Commission as a naturalist and artist. Fellow NJMC Naturalist Brett Bragin recalls John as one of the old-time, true died-in-the-wool, self-taught naturalists — with a couple of differences.